The magnolia or evergreen magnolia (Magnolia grandiflora L.) was designated as the official state tree of Mississippi on April 1, 1938. In 1935, the Director of Forestry started a movement by which to select a State Tree for Mississippi, to be selected by nomination and election by the school children of the State. Four nominations were made--the magnolia, oak, pine and dogwood. The magnolia received by far the largest majority. On April 1, 1938, the Mississippi Legislature officially designated the magnolia as Mississippi State Tree. 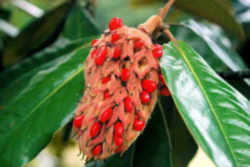 Although no specific species of magnolia was designated as the state tree of Mississippi, most references recognize the Southern Magnolia, (Magnolia grandiflora,) as the official state tree of Mississippi..
Also the state nickname is the "The Magnolia State" and the magnolia is also the state flower of Mississippi. 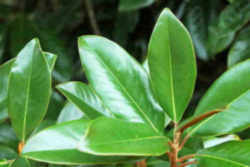 The large, lustrous, evergreen foliage makes the Southern Magnolia a desirable ornamental plant. Its flowers are produced more abundantly in southern areas than in northern areas. Southern magnolia (Magnolia grandiflora), also called evergreen magnolia, bull-bay, big-laurel, or large-flower magnolia, has large fragrant white flowers and evergreen leaves that make it one of the most splendid of forest trees and a very popular ornamental that has been planted around the world. This moderately fast-growing medium-sized tree grows best on rich, moist, well-drained soils of the bottoms and low uplands of the Coastal Plains of Southeastern United States. It grows with other hardwoods and is marketed as magnolia lumber along with other magnolia species to make furniture, pallets, and veneer. Wildlife eat the seeds, and florists prize the leathery foliage. 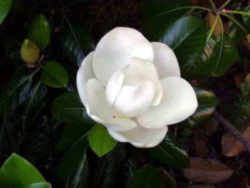 Magnolia grandiflora, commonly known as the southern magnolia or bull bay, is a tree of the family Magnoliaceae native to the southeastern United States, from Virginia south to central Florida, and west to eastern Texas and Oklahoma. Reaching 27.5 m (90 ft) in height, it is a large striking evergreen tree with large dark green leaves up to 20 cm (8 in) long and 12 cm (4.5 in) wide and large white fragrant flowers up to 30 cm (12 in) in diameter. Widely cultivated around the world, over a hundred cultivars have been bred and marketed commercially. 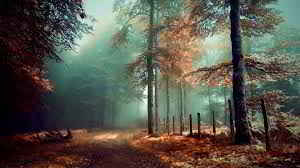 The timber is hard and heavy, and has been used commercially to make furniture, pallets, and veneer. 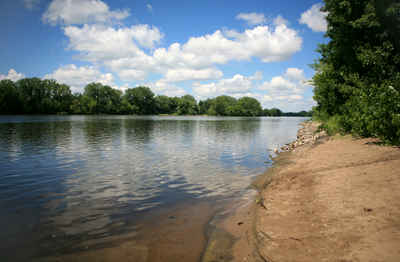 Size: - 60 to 80 feet in height with a spread of about 30 to 50 feet. It develops into a large tree in southeastern Virginia, but in western Virginia its height may not exceed 20 feet due to occasional winter damage. There are numerous cultivars, and there can be variation between seedlings. Grows at about a medium rate with a pyramidal habit. Generally branched to the ground and best left this way since growing anything under them is futile. Leaf: Alternate, simple, pinnately veined and evergreen, 5 to 8 inches long, oval in shape with an entire margin. Very waxy/shiny above, and reddish tomentose below. Flower: Very showy and fragrant, 6 to 8 inches wide with large white petals. Flowers are borne singly, from May to June. Fruit: An aggregate of follicles, green changing to red, cylindrical, 3 to 5 inches long with red seeds, 1/2 inch long. Maturing October to November. Twig: Stout, with white to rusty tomentum and a long (1 to 1 1/2 inches) silky white to rusty red terminal bud. Bark: Brown to gray, thin, smooth/lenticellate when young, later with close plates or scales. 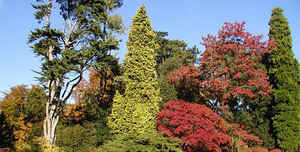 Form: A medium-sized tree with a pyramidal crown. When open grown, the crown is dense with low branches. 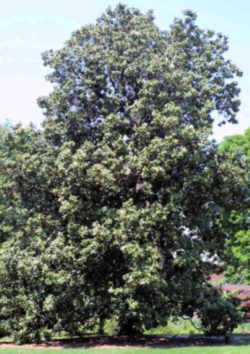 The magnolia or evergreen magnolia (Magnolia grandiflora L.) is herewith designated as the state tree of Mississippi. SOURCES: Codes, 1942, Sec. 6192; Laws, 1938, ch. 366.